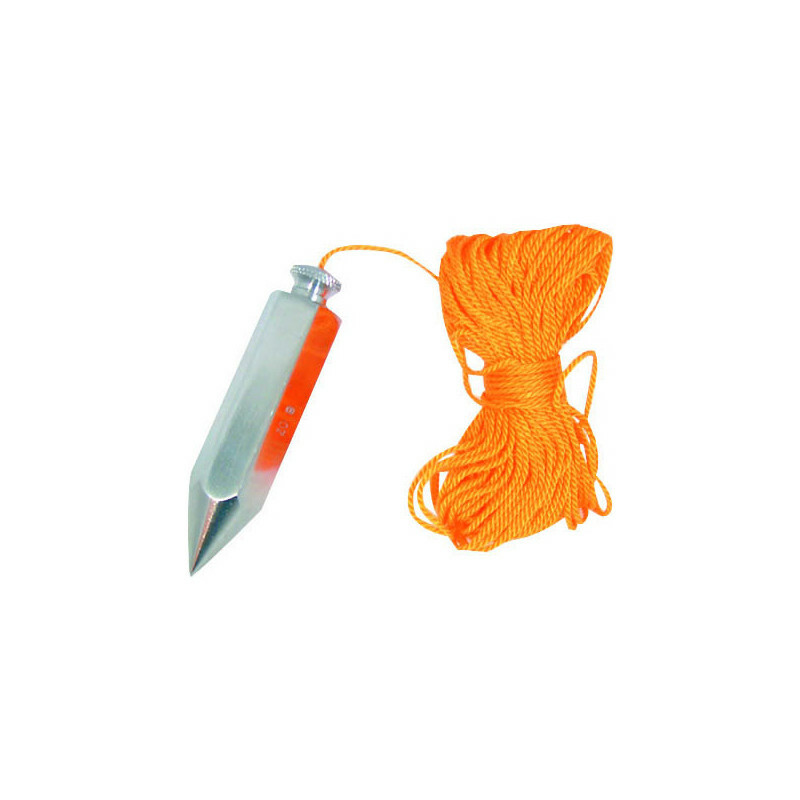 225g plumb bob with 18m of strong nylon line. Plumb Bob & Line is rated 5.0 out of 5 by 3. Rated 5 out of 5 by Malc_b from Good for some jobs This is a heavy plumb bob with lots of line. I have another plumb bob which is better for wallpapering as flat but wider so the line sits near the wall. This one is better for dropping a vertical in free space, say for a stud wall or dot and dabbing a board. For dot and dab this one can get closer to the wall than my flat one which of course spins to hit the wall due to Murphy's law. Rated 5 out of 5 by Anonymous from Dangles down Obeys Newton's law of universal gravitation, by hanging down in a straight line. String long and strong.